We’re back with our popular series on ranching — What Works for Us, a behind-the-scenes glimpse into the operations of some of the nicest cowboy outfits on the Canadian range. 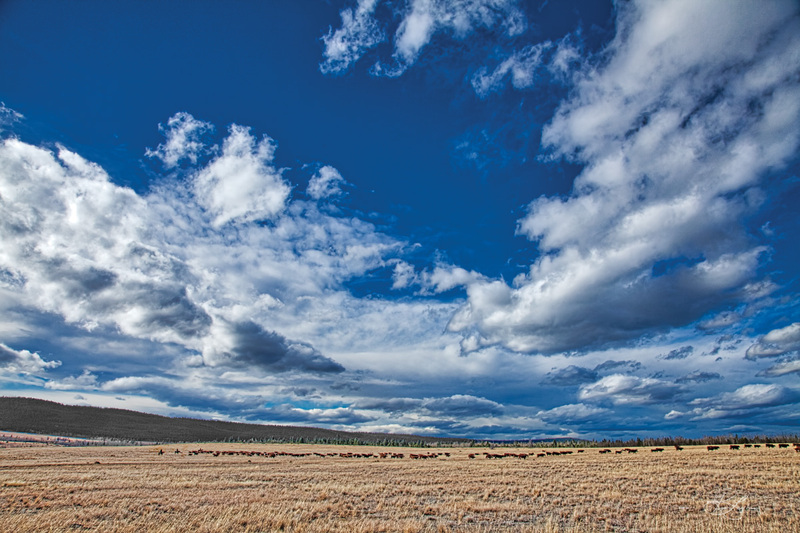 I contacted a few select ranchers to ask, “When it comes to calving, what works on your place?” Every ranch is different, and while no one can tell another person how to ranch, they can say what works for them. 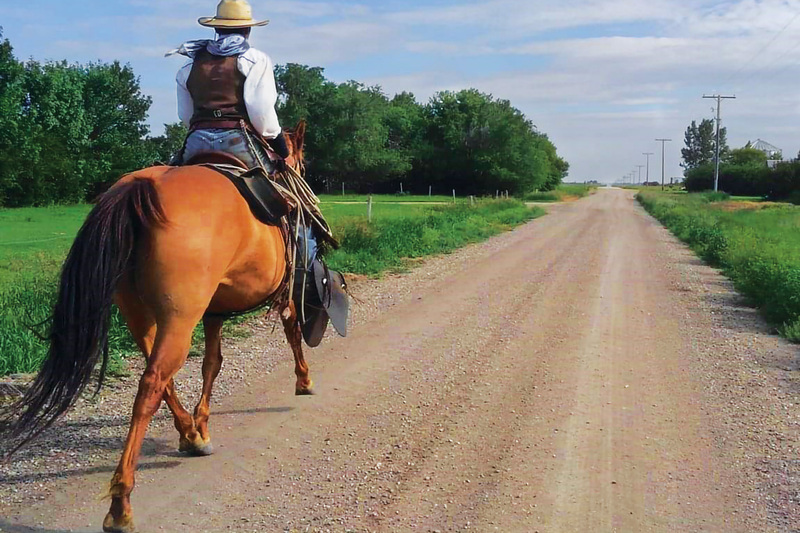 I extend my thanks to the ranchers that shared their know-how of what works on their place. 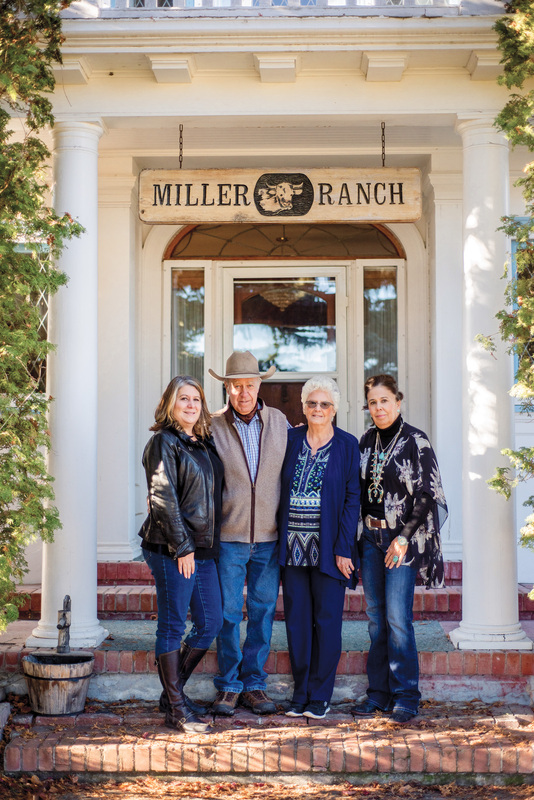 The famed Chilco Ranch has been producing beef for over a century, but the 2017 wildfires destroyed fences, all of their corrals and handling facilities, some equipment and farming implements, as well as a guest house and machine shed. “But we were lucky,” said ranch owner, Dean Miller. 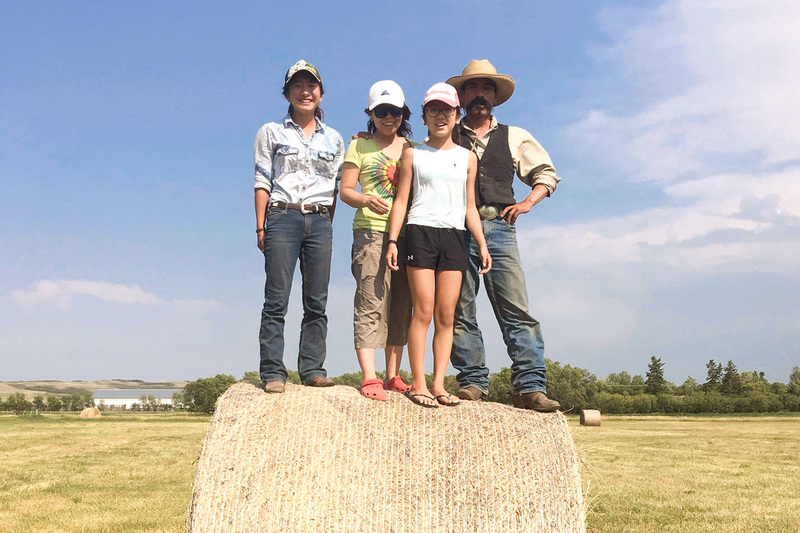 “We lost some cattle, but everybody else survived the firestorm.” Out of the ashes, this Phoenix of a ranch is welcoming the new life of calving season. “We usually try to calve the heifers 10 days ahead of the cowherd. We start our heifers about March 20th. Sometimes we still have some snow; usually it’s dry, but sometimes we’ll get spring storms. The heifers are in closer; they’re penned, and we monitor them,” says Dean Miller. Grandson and ranch manager, Jordan Grier, elaborates. “We calve out 200 heifers. We ran horned Hereford bulls, but last year we bought some black and red Angus to turn out on our heifers to see if the cross will make it a little easier calving for them, and to get a bit of a cross back in the herd. We have a calving barn not far from the main ranch buildings. We’ll leave the heifers out in the hayfield until they start to get close [to calving], and then we’ll bring them into the pen. We night-check them a lot; but it’s a pretty easy system the way we have it set up. We have panels set up inside a bigger pen, close to the barn. We move in any heifers that are close to calving because we have a camera system — we’ve got 10 cameras set up — so the heifer is always in front of a camera. We can go get some lunch and watch her on our TV, or we can check the cameras from our phones. We help a few heifers calve because we don’t really keep the birth weights light here. We keep our heifer bulls and eventually turn them out with the cows, so we don’t take much of a hit on our weaning weights. It’s a little more work calving heifers, but we never have an issue calving after that. The birth weights are in the 70–80 lb range, but our heifers are pretty big. “I am Japanese, and I only have 13 years experience in this country,” says Takashi, known as Jake. 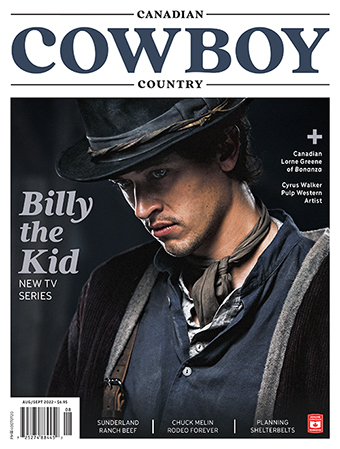 “In spring of 2006 my late boss, Stuart Morison, offered me a chance to be a cowboy here in Saskatchewan after he got to know me when I was fighting bulls. I am following my boss’s way still; he passed away last autumn. We usually start calving heifers in early April and the cows towards the middle of April. The heifers are corn grazing in a separate pasture, and we give them scour shots. The heifers get two shots: one in mid-February, then a booster in mid-March. I have the heifers in the closest field, and I usually check every 2–3 hours. I usually use a side-by-side [quad], but I’ve been using a young horse too the last couple of years. It’s good practice for her. I will also swing a rope with a breakaway hondo, it’s good practice for her and for me, but if I have a problem, I’ll bring the heifer in — I have a heated barn/arena with a chute, and I help her calve. After I check the heifers, I usually go and check the cows too. They’re close, but it’s not often they need help. I tag the calves as soon as they’re born, and that’s when I use the side-by-side, as I can just drive up to the calf and tag it; that’s why I check so often. I can also jump in because some cows will chase me. They are very protective. We have many coyotes, but the coyotes don’t go after the healthy calf; they take the sick or weak. It happens, and I understand. We have five border collies, but I don’t use them when I’m checking the heifers and cows. They stay in the side-by-side. The ranch is about 10 sections: half in flat land, half in hills on the edge of Moose Mountain. We also rent some land from Pheasant Rump Nakota First Nation. Spring weather can be a problem; one year we lost lots — 60-some calves in a very, very bad spring storm . The cattle were trying to find shelter; it was so bad I couldn’t even drive in the truck, I couldn’t see. That was a bad storm.